For the first time, our international guests from warm climates got the chance to experience snow at the Eagleson Institute. 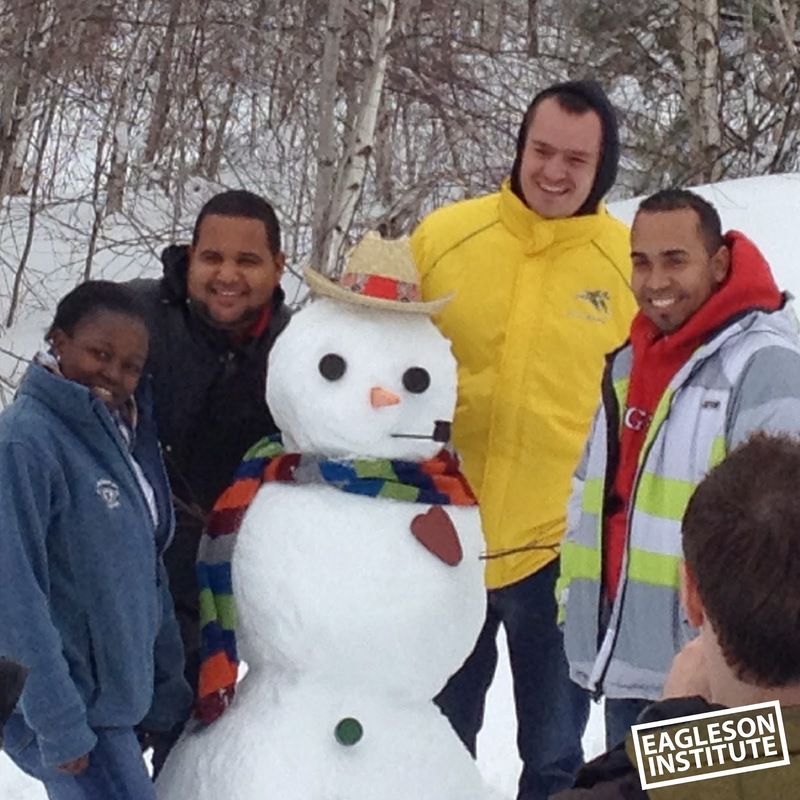 The snow was very dry and powdery, but Institute staff were determined to teach our guests how to build a snowman. With over 20 gallons of water, and a lot of work, we were able to construct a snowman with the dry snow. Everyone loved decorating the snowman and playing in the snow. One question we remember hearing frequently was "Is it ok to touch it [the snow] with my bare hands?" As soon as they realized it wouldn't hurt them, the snowballs started flying! Due to the weather in Maine, we were able to show our guests some other snow related activities, including sledding and making snow angels. Needless to say, throwing snowballs at each other was everyone's favorite! Spring and Summer came and went by and in November, the Eagleson Institute welcomed a new group of guests from African and Asian countries. The group started their journey in the Institute's "Safety Cabinet Technology" program where they learned about the different types of laboratory ventilation equipment, and focused on the Class II Biological Safety Cabinet (the most common type of BSC). The group also attended our "Introduction to Certification" workshop and "HVAC Systems and Laboratory Design" class before taking part in a week-long hands-on mentoring training workshop where they learned how to certify BSC's to NSF 49. Though there was no snow for them to experience, they will be returning in March 2014 for two more weeks of training and hopefully will get to play in the snow too!